One of the most highly profitable businesses at the moment is the Wedding Industry. From the engagement to the wedding ceremony itself, there have been ideas and innovations that wedding suppliers have done and introduced to the market. Yes, you may have hired a wedding planner but never leave totally everything in their hands. Your wedding is a once in a lifetime event and if you are spending a fortune on this, you might as well ensure that every supplier that you will book is the best choice to execute what you have in mind. Conduct background checks. Ask friends and relatives for referrals and/or speak to the previous clients of your potential supplier before signing a contract. Couples wanted not just one theme, but two or three themes combined.The idea is to make their wedding look grander. But, contrary to what it may seem, it would only look too much. 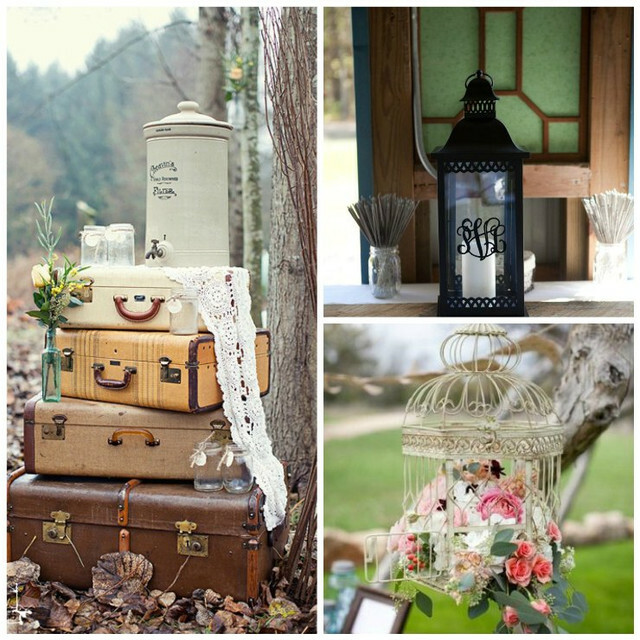 One good example is the Rustic and Vintage Wedding themes that several couples would usually request to be combined. Combining the furniture and accessories with a rustic and vintage feel may look unique but most of the time the overall design would only look like it’s trying hard to either be Rustic or Vintage.Thus, it would seem cheaper because it has achieved neither a 100% Rustic nor a 100% Vintage. Check out this link to get examples of a Rustic Themed Accessories. If you are considering combining two or more wedding themes, get advice from the experts. Most of them will ask you questions that may reveal the personality that you have as a couple which will help you make your final decision. When we think of the word “involve”; it may automatically seem like you have to do something. However, this last piece of advice is not about asking you as a couple to be the one personally doing the work instead of hiring a wedding organizer. Since most of the couples are busy with a lot of concerns during the wedding preparation, how can they still be personally involved? Simple. You just need to ensure that the theme and design will always speak about the two of you as a couple. You don’t have to be the one to accompany the caterer in picking which table cloth to set or go to the shops with your wedding stylists to get the best accessories for the event. You simply need to let your wedding organizers and suppliers get to know your personality as a couple. You can do so by doing the following: providing pictures of the two of you from the courtship days up to the engagement, sending a list of places that you both went to and/or considered sentimental as a couple and asking a good friend who knows both of you as a couple to check out the final designs and ask him if they remember you as a couple when they see it. Get more ideas on the types of accessories that can add the feel to your chosen wedding motif. Lets go live on your special day!